Lets take a quick glance around the room where bellies get filled, cakes are baked and laughter is shared over warm plates and cold drinks! Our kitchen is painted the same Sherwin Williams Functional Gray as the living area. We also have a double mantle fire place that is on the kitchen side and living room side. It is so comfy in the winter when cooking a pot of warm soup and turning the fire on while eating dinner at the dining table. 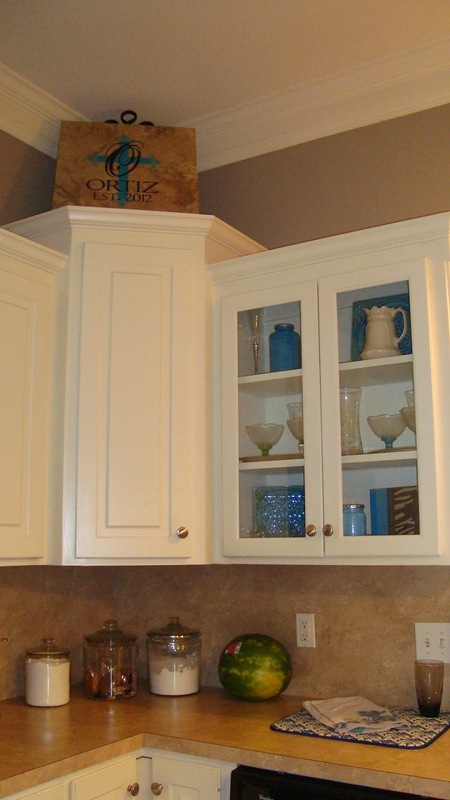 Our light fixtures are a gold bronze rubbed metal and the fixture over the island also doubles as a pot holder. Here is a better view of the double mantle and fire place. Custom Abstract Art By Angel Turner Dyke. Our Pantry is the small white door to the right of the fireplace. Ok, you want a peek inside? Don't judge me I suffer from OCD! Top Shelf stores all quick breakfast items, juices, paper towels my handy Grocery Bag Holder & my favorite Straw Dispenser (I never drink without one!) 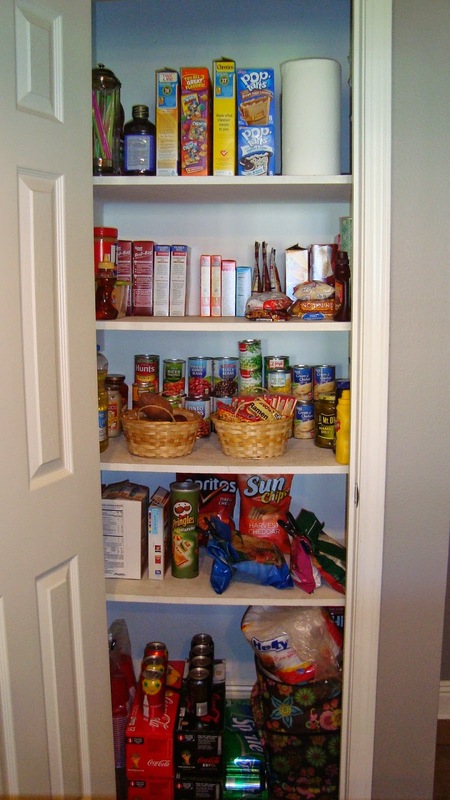 Second shelf is dry goods (rice, beans, ready meals, desserts) Third shelf is canned good and condiments, Fourth shelf houses snacks and chips and the bottom shelf houses canned drinks, a small ice cooler and extra paper products. 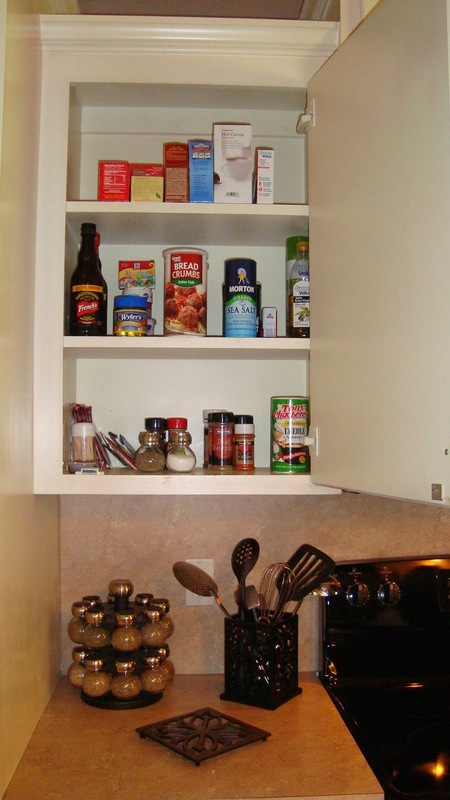 Here is my Spice Pantry, I use my spice rack underneath and house the extras in this area closest to the stove. A Louisiana Girl can't live without her Tony Chachere's! Top shelf houses tea, hot chocolate and drink mixes, Second shelf houses larger items and liquid seasoning, Third shelf is a collection of my favorite and most used spices. 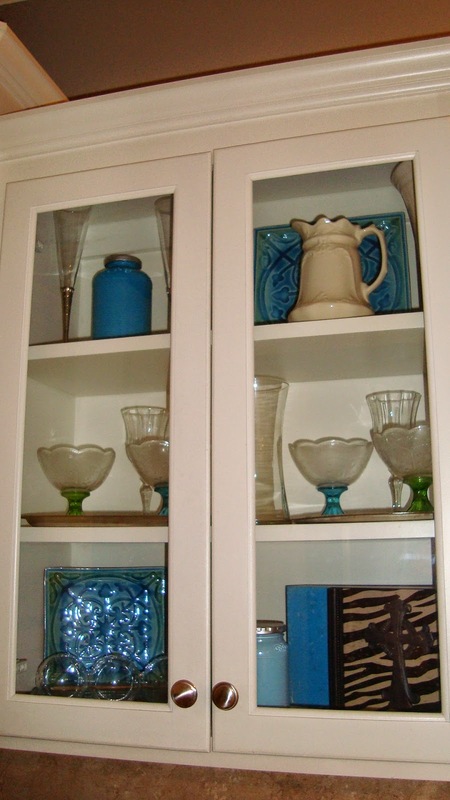 Next we move over to the cabinet near the sink, this area and glass cabinet store all my pretties! Below the canisters are housing; Sugar, Snacks & Flour. And I have a yummy little ripe watermelon just waiting to be enjoyed. The lighting wasn't working for me on catching a shot of the kitchen sink. 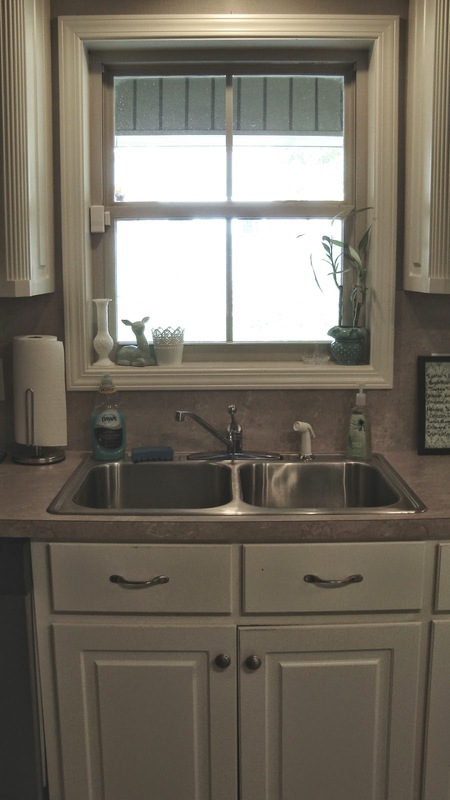 Here is where dishes get clean ;) and underneath the sink is our cleaning supply storage. I'll even let you sneak a look at that area. Just a few pretties, Deer are popular here in the south and this little gal makes me smile. 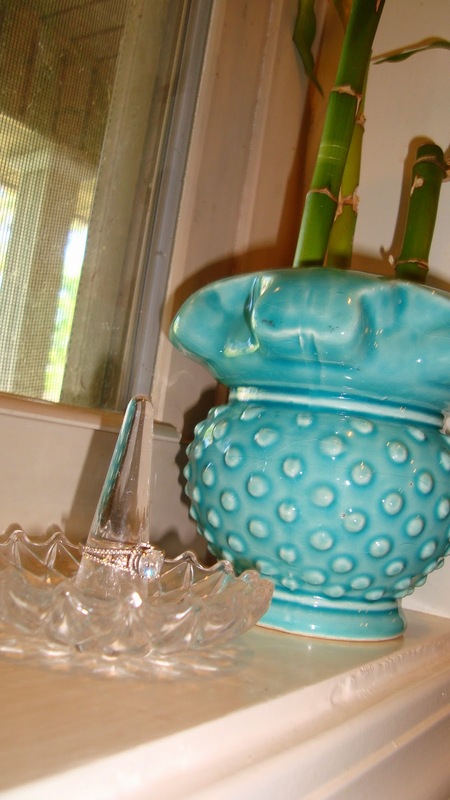 I also have an antique milk glass vase and a tiny little candle holder picked up in the dollar section at Target. On the other side is my bamboo plant (It brings good luck, right?) And my crystal ring holder, my little ring sits here and waits for me to finish the dishes each night. Here is the cleaning supply area, I keep all most used cleaners on the left. And my favorite can be spotted in the middle because nothing smells better when cleaning your kitchen or tile than Fabuloso! Trash bags in the middle and the right container stores, dishwasher detergent, carpet cleaner and my diva cleaning gloves. Here is a view from the living room. It may seem crazy to love a trash can so much but I can't get over this Stainless Steel Trash Can. Seventy dollars seemed crazy to pay, but I've loved it so much because our giant (Yes giant..) pup can't get into the trash anymore. Plus it looks sleek and chic. 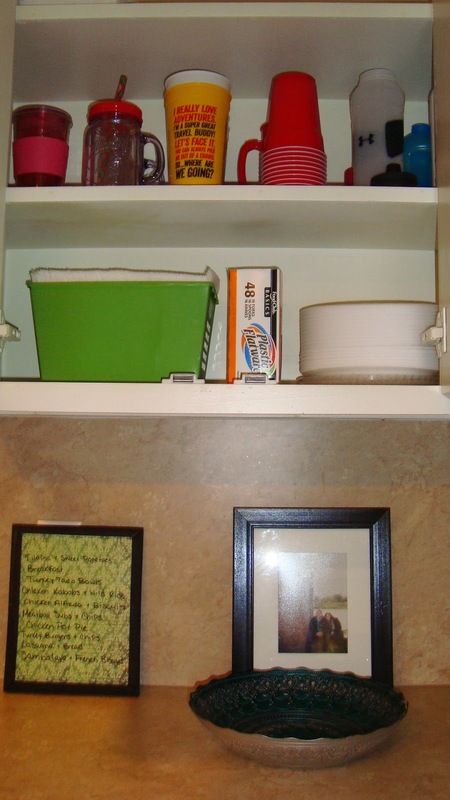 Here is the view of the cabinet closest to the trash can, it houses plastic cups & easy to grab paper products. Underneath this cabinet is our weekly menu and fruit bowl. At the end of the day, when the dishes are washed and the kitchen is clean and smelling of lavender Fabuloso, I light my favorite Bath & Body Works candle and prop my feet up for the night. Oh look, its the trash monster herself! 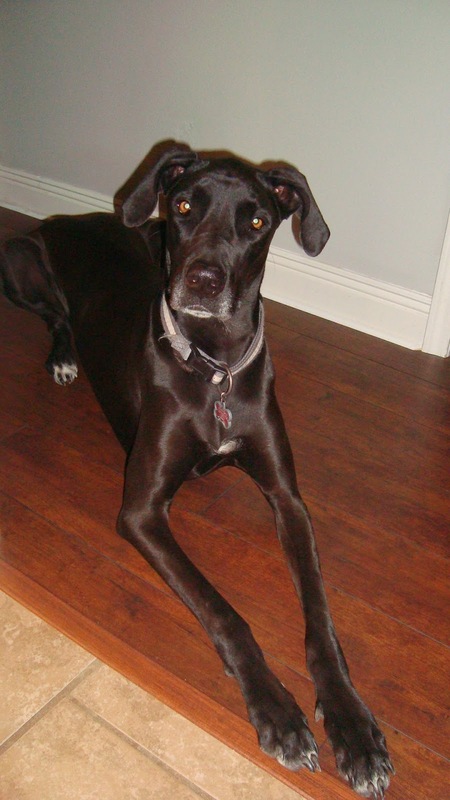 Willow :) She is our sweet Great Dane rescue baby. And she really is precious... She just loves trash.